To a business owner, chief executive officer or entrepreneur, your company is like your child: Your greatest desire is to see it grow up strong, take on the world and become successful – and you’ll do just about anything to encourage your baby’s growth so it reaches the level of success you’ve always imagined. But like all parents, you probably find yourself asking, “How?” Exactly what do you need to do in order to get where you want to go? What are all the pieces of the Business Success puzzle, and how do they fit together to make your company the most profitable it can be? It’s a short, simple question with a long, complex answer – but here at TESSA Marketing + Technology, we have your answer. Matt “The Digital Millennial” Callen is our Executive Vice President and a bona fide expert in all things Internet Marketing, including everything from local and international SEO to Google Adwords. Using the many tools in his toolbox, Matt has created and implemented hundreds of customized, coordinated campaign strategies for client companies representing dozens of distinct industries. Over the years with TESSA, he’s learned the pieces of the puzzle to a successful online business enterprise…and we’d like to share some of his secrets here. Does your website make your business stand out from (and ahead of) your competition? How soon after finding your site does a visitor understand what makes you different and better? Does it look as attractive as it could? Does it quickly communicate the message(s) that it should? Is it easy to navigate for information? Are you making best use of video? Does your company website offer a user experience (UX) that your potential customers will be attracted to? Does it properly reflect your company’s overall brand? Consistency is always key. What’s your call to action? To complete that all-important conversion from visitor to customer, you need the user to perform a specific action: Contact you with a call, email or chat…click to reserve an appointment…place items in the online cart and effect a direct sale…et cetera. Is your website configured to guide users into the action you want? “A website needs to look pretty, but it also needs to close the deal,” Matt says. Is your website optimized to earn a sufficiently high ranking on Google, Bing and other popular search engines? Are you ranking for key keywords users would actually use (services, products, features, geographic locations, etc.) and those keywords’ various permutations and combinations? Is the content on your website – titles, alternative image text, the words on the pages, even the metadescriptions in the backend HTML code – both distinctive and stimulating? Is your content different than anyone else’s on the whole Internet? Does it appeal to both search-engine spiders and crawlers (with the best keywords and the strongest content) as well as to your human customers (with a clear, targeted message, unique sales proposition and obvious call-to-action)? What is your unique selling proposition? What separates, differentiates, defines, identifies your company as a unique business enterprise? What do you offer that no one else does? It could be services, price discounts, your experience, size, any quality that sets your company apart and makes it desirable to a prospective customer just learning about you. Does your brand resonate with your target audience? Who is your target audience, demographically speaking? Older, younger, local, national, affluent, discount-seeking, playful, serious? Are you communicating your company’s merits in a way that speaks directly to your audience? This aspect is essential for converting website visitors into online customers? Is your paid advertising correctly targeted? Split display ads, social media post boosts and pay-per-click (PPC) campaigns can be effective branding techniques with potentially rapid results, because you’re reaching the exact audience you want to reach. What are your competitors saying and doing online? Are they updating what they’re doing, so you can stay ahead of the competition? “Telling folks about what sets you apart will lead to more conversions,” Matt says. How top-of-mind is your company’s brand? Show your brand to your online target market frequently and consistently. Have your site’s webpages earned high Google rankings? Just one page, or many? (The more, the better.) 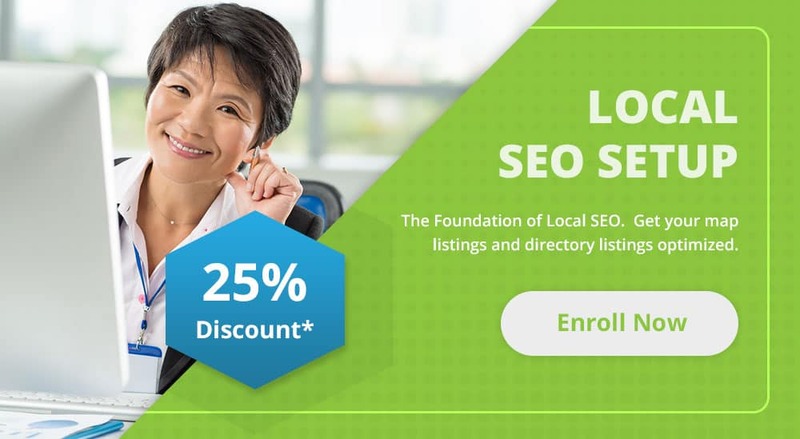 Earning Google’s trust through diligent SEO work and a plethora of unique content is a near-surefire way to increase clickthroughs and capture new customers. Is your company active and engaging on Facebook, Instagram, Twitter, YouTube and/or Linked-In? Social media is an essential marketing channel that can help earn trust and win business. 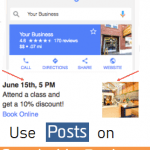 How are the online reviews for your business? Are your customers vouching for you? Is email marketing in your overall outreach strategy? Are you incentivizing customers to become repeat customers? Once business has been won, keep in touch to keep your business brand top-of-mind. (Especially if you’re an e-commerce company,) is your website sharp-looking, speedy and professional? Does it engender trust? You can compete and win versus e-commerce goliaths like Amazon, Walmart and Macy’s if you earn the customer’s online trust. In the quest for online business success, there is no silver bullet, no one-size-fits-all, no easy solution that works for everyone. But there is, in fact, a superior Internet marketing strategy that will work best for your company. We just need to pull out all the right pieces and fit the puzzle together. Marketing directors, company webmasters, CEOs, CFOs and digital managers: Prepare your beloved brain-child for the best of success. Whether you’re a DC-area medical office seeking new local patients, an online discount retailer looking for enhanced brand recognition, or a California software firm prospecting for large corporate clients around the globe, the secret to achieving ultimate business success relies on an intelligent, experience-driven, creative custom strategy made exclusively for you. Just ask “The Digital Millennial” and the rest of the experienced team at TESSA Marketing + Technology. Put all these pieces together to achieve the greatest successes with your online business. We know you’ll love the big picture. About TESSA: TESSA is Multi-Surface Marketing + Technology, all in one. 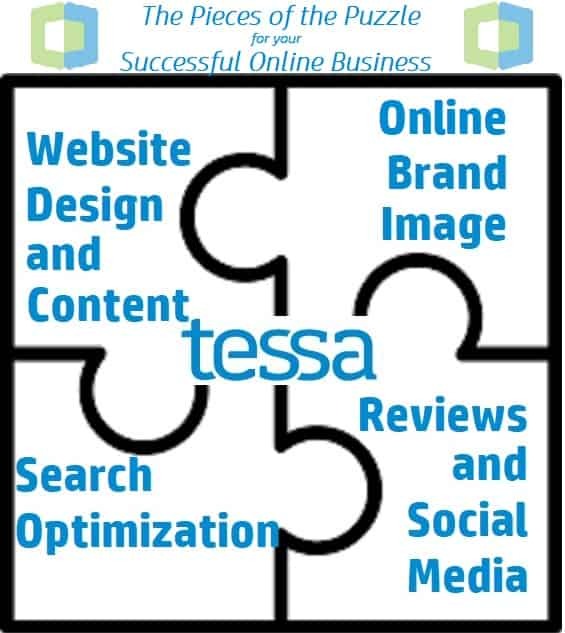 TESSA combines our knowledge and creativity in marketing, branding and messaging with our expertise and skill in technology implementation, website design, software development and mobile applications to become perhaps the most unique SEO agency in the USA. TESSA serves clients through the United States of America from our base in Northern Virginia near Washington, D.C. We serve clientele in Virginia, Maryland, DC, Pennsylvania, New Jersey, Ohio, North Carolina, Florida, Canada and elsewhere. Through SEO, SEM, content strategy, digital advertising, Internet marketing, branding and messaging, plus customized web design and implementation, TESSA turns what-if into what-is.